The theme for this week is be flexible. Often in life we have to make changes to our routine that are unexpected. We have to ''roll with the punches" or "let the chips fall where they may" and move forward. I have had to do that in life and have had to do that with my marathon training, because apparently I can't control every aspect of my life (no matter how many times I try to convince myself otherwise). The biggest change in training that I have had to make so far was deferring my full marathon from this year to 2015. As much as I still wanted to attempt the full in October, I knew that with the amount of physical therapy I needed after my injury, and the number of weeks I was off of running, I would never be fully prepared (at least not enough to complete it safely). As a runner, being flexible means many things. It means learning when you need to convert one rest day into two, because your body is aching and you still need more time to recover. It means adjusting your schedule to accommodate last minute trips (for work/emergencies/fun). It's about having a Plan B (or if you're like me a Plan C & D) and being OK with the change in plans (even when you don't have much notice). And it's about being able to step back, look at the bigger picture, remember the goal...the destination....and to appreciate each step that will get you closer to reaching them. With that in mind, I am changing up my routine this week. This is a last minute change (unusual for me) but the reason for the change was planned months ago......(drum roll please)......My mom and baby sister (yes she is still the "baby sister" at age 27) will be in town and we have a weekend filled with gift shows, wedding dress shopping, regular shopping, and amazing restaurant dining (that last one probably should have been listed first). Luckily I can still fit in 3 days of running (yay!) and, since this is my taper weekend, the planned venue changes will coincide perfectly with a shorter LR on Saturday. 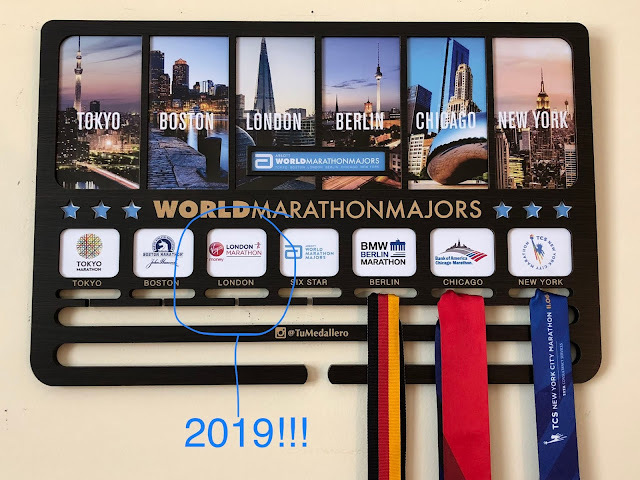 The half-marathon countdown continues!!!!! Eleven days to go!!!! 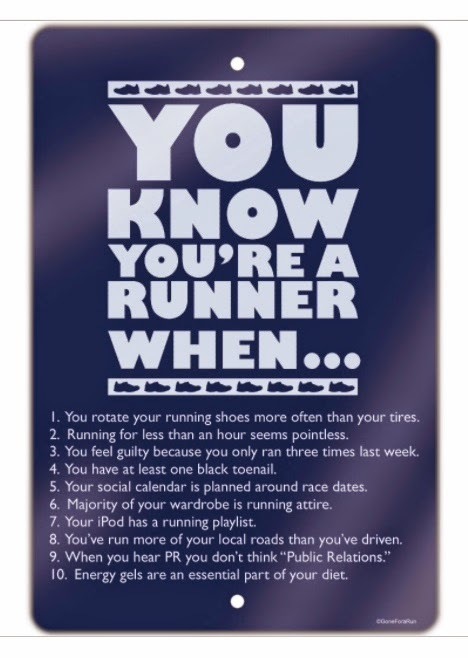 (not counting today or race day). I'm getting excited...and nervous...but mostly excited...nope, mostly nervous.......nervously excited??? How flexible is your training plan? What is the best race day advice and worst race day advice you ever got? best advice I ever got was to not try anything new on race day. Sometimes you get caught up in the excitement and you can feel like you’ve become an elite runner overnight and then you forget the months of training and your routine. So don’t buy those amazing sneakers at the expo and don’t drink a cup of coffee if you don’t normally before a long run because someone told you it works. Stay in your own lane and what you know works for you. Also, save your music for when you need it during the race (assuming you run with music). With all the commotion and energy in the beginning, take it all in and let that propel you forward (but again stay in your lane at your own pace). I once started my music in the beginning and then my ipod died when I needed it. No bueno. The worst advice was all the horror stories of hitting the wall and how it’s inevitable. Put that out of your mind. When you start to feel tired or doubt yourself, just pretend likes it’s a long run, remind yourself that you are strong and capable of doing it. I would always say I run for those who can’t and as long as I put one foot in front of the other, I will get there eventually. Remind yourself that effort is not pain. 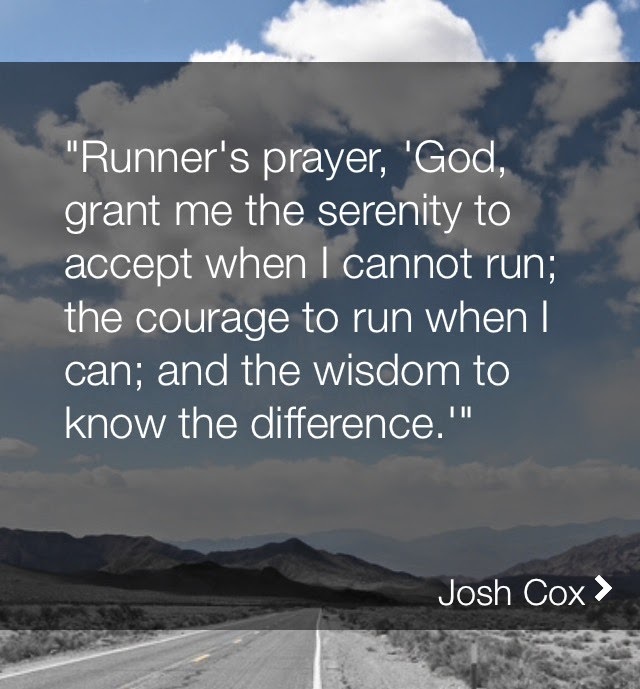 Your body is conditioned for the race. You can do it!